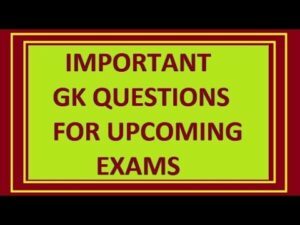 General Knowledge questions on Indian GK for Bank PO, IBPS, Bank Clerical And Date wise 30-01-2018 questions for bank exams, very important computer-related questions for Bank PO, SBI PO, IBPS,RAS, IAS, UPSC, RPSC, 1st, 2nd, 3rd Grade Teacher, REET CTET, LDC, SSC CGL, IBPS, MBA, CAT, MAT, SBI-PO, RBI And Railway, Indian Army And all competitive Exams, and Most expected Computer Question Papers with answers. These Questions are most commonly asked in Other Banking Exam, And All subject Wise Notes and Math, Hindi, English, History, Political Science, Psychology, Sanskrit Related Study material. REET And Rajasthan police Related Study material. Question (1) Where is the headquarters of the Indian Botanical Survey located? भारतीय वानस्पतिक सर्वेक्षण का मुख्यालय कहाँ स्थित है? Question (2) What is India the most important source of energy? भारत में ऊर्जा का सर्वाधिक महत्वपूर्ण स्त्रोत है? Question (3) What is celebrated National Science Day? राष्ट्रीय विज्ञान दिवस किस मनाया जाता है? Question (4) What is the length of the coastline of India? भारत के तट रेखा की लम्बाई है? Question (5) What is the number of marine coastline states in India? भारत में समुद्री तट रेखा वाले राज्यों की संख्या कितनी है? Question (6) India’s mainland is the southern tip? भारत की मुख्य भूमि का दक्षिणी नोक है? Question (7) India’s southernmost point? भारत का सबसे दक्षिणी बिन्दु है? Question (8) Which line of boundary between India and China works? भारत और चीन के बीच कौन-सी रेखा सीमा निर्धारण करने का कार्य करती है? Question (9) What is the dividing line between India and Pakistan? भारत एवं पाकिस्तान को विभाजित करने वाली रेखा कहलाती है? Question (10) which country is India’s longest terrain border? भारत की सबसे लम्बी स्थलीय सीमा किस देश के साथ है?